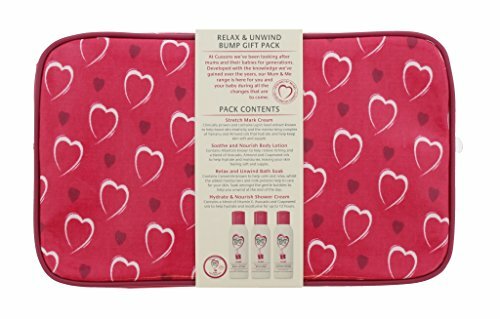 Designed by mums - developed by experts Bump gift pack Soothe and Nourish Body Lotion Contains Allantoin that helps to relieve itchiness and a blend of Avocado, Almond and Grapeseed oils to help hydrate and moisturise, leaving your skin feeling soft and supple. Relax and Unwind Bath Soak Contains Camomile known to calm and relax, whilst the added moisturisers and milk proteins help to care for your skin. 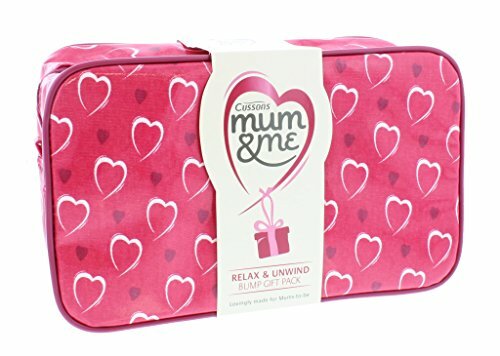 Soak amongst the gentle bubbles to help you to unwind at the end of the day. . At Cussons we've been looking after mums and their babies for generations. 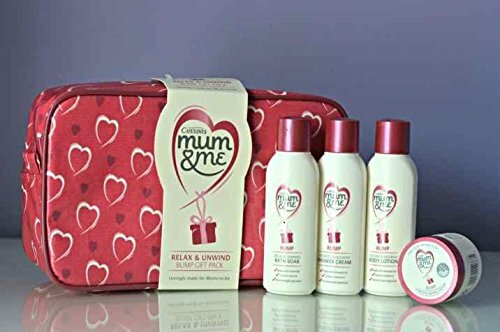 Developed with the knowledge we've gained over the years, our Mum & Me range is here for you and your baby during all the changes that are to come. Box Contents 1 x stretch mark cream25ml e 1 x Soothe and Nourish Body Lotion 100ml e 1 x Relax and Unwind Bath Soak 100ml e 1 x Hydrate and nourish shower cream 100ml e - Prepare and Use: . Keep out of reach of children. Avoid contact with eyes. If this occurs, rinse well with clean water. In event of irritation discontinue use.